The Corniche – A seven kilometre horse shoe shaped stretch along Doha’s waterfront is a scenic place popular amongst a diverse crowd of people at different times of the day. The area surrounding the Corniche was developed following massive dredging work that took place during the 1970’s and 80’s. Initially although only a five star hotel commandeered the entire stretch, today much development has given rise to many dominating buildings and landmarks along this promenade. These developments have been a great strength to the increase of tourism in Doha, Qatar. At one end of the Corniche, lies the Museum of Islamic Art. Beginning from here, the carriage way winds itself past other significant buildings such as the Qatar National Museum, The Emiri Diwan, The Qatar National Theatre, The Doha Port, The Commercial Bank Plaza, Dubai Towers and ends with the well known pyramid shaped Sheraton Hotel. Apart from these luxury apartments, houses, hotels, clubs, government buildings, open parks, and other facilities also surround the area. At the jetty’s dhow restaurants have become famous, not only for its uniqueness but also because of the scrumptious mouth watering delicacies on offer. The Heritage Village, resembling a Qatari Hamlet of old, is a charming place to visit and offers traditional arts and crafts together with musical performances. Strolling along the promenade in the morning, a visitor would encounter many early morning joggers getting in their exercise. During the day, parents take their young children to enjoy the fresh air, and play on the grass and have an invigorating family time. Late at night however the place transforms itself into a youngster oriented atmosphere, with many young people meeting up for a coffee or simply to hang out. Whether you are in Doha for business or leisure, visiting the Corniche is a must. It gives the visitor a sense of what Qatar was and what it has become, how far the country and city has developed. If you are looking for a Doha hotel from which to base yourself, make sure to check for Doha hotel deals that may be on offer from time to time in order to avail yourself of the best package and deal! 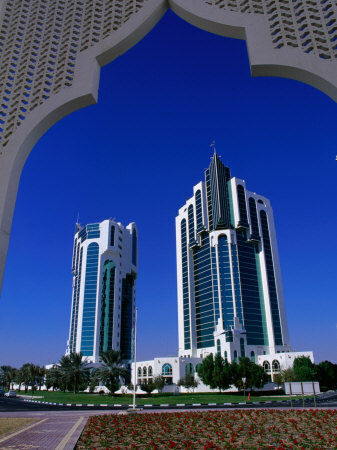 The Millennium Hotel Doha is an ideal option if you are looking for comfort and high standards of service.